“We carried this book everywhere we went in Yellowstone. I loved all the history and extra information about each place we visited. I was reading to the people in my group and other tourists often stopped to listen. A great addition to any trip to Yellowstone. This quote by lbrock21 accompanied a five-star Amazon review of the Kindle e-book on August 25, 2014. Readers are finding several advantages to getting a travel guide in electronic format, including saving weight while traveling. We released the updated fifth edition of Yellowstone Treasures in three e-book formats on June 30, 2017: ePub, Kindle, and PDF. All three offer live links to other parts of the book and sites on the Web, along with helpful full-color maps. Many e-book stores also offer the opportunity to get a free sample. Readers find both the list of maps in the Table of Contents and the “54 Recommended Short Walks in Yellowstone” table to be handy, because they are organized by road log section in the same order as the guidebook. For example, if you find yourself at Canyon, you can see that all seven recommended walks on the chart can be found on the map on page 179 (a map completely revised for 2017). Because the new Yellowstone Treasures ePub and Kindle versions have text that flows differently on every e-reader, they benefit from fully hyperlinked indexes that will get you to each topic or image. A quirk of the ePub is that text flow works best in portrait view for this e-book. The PDF, on the other hand, retains the page numbering of the print book, so you can find topics by page number. Links go from the text nearby, not the page numbers. Look for the hand cursor. For example, on page 318 it says “a hydrothermal explosion such as the one that formed West Thumb Bay (see pages 138-39).” You can either put 138 into the page search box at the top (in Adobe Reader, for example) or click/tap on the words “West Thumb Bay” to get to the same place, where Janet explains how it’s a small caldera. Here are a couple of tips that will help you get around with Yellowstone Treasures on different e-readers. In the ePub on the iPad, you can double-tap on an image or map to enlarge it. On the Kindle or Kindle app for iPad instead, you spread two fingers apart to zoom in, and then tap the x in the corner to close the image and continue. Here’s to enjoying books in whatever form you choose! Cordially, Beth Chapple, editor and publisher. Time to crow a bit: Yellowstone Treasures wins two awards! 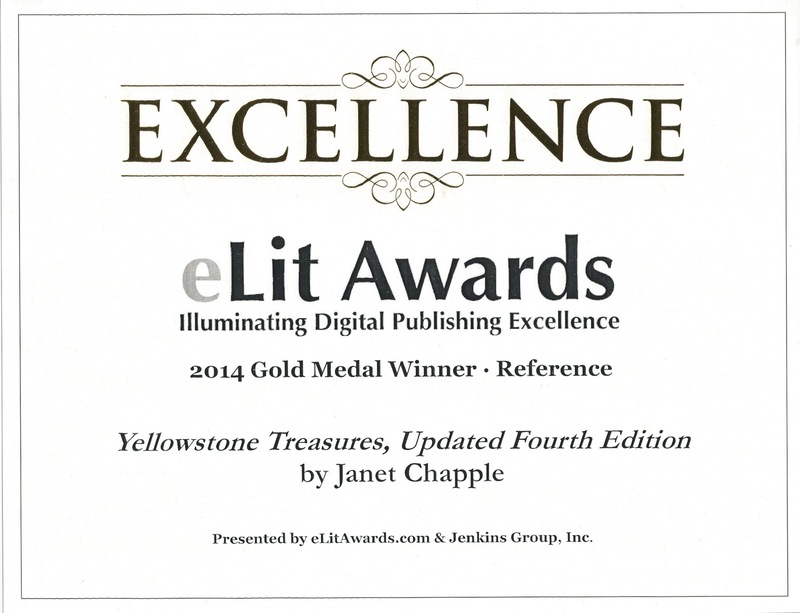 Comments Off on Time to crow a bit: Yellowstone Treasures wins two awards! Granite Peak Publications was surprised and happy recently to be honored with not one but two awards for our Updated Fourth Edition e-book of Yellowstone Treasures. Not only did we receive the Gold award in the Reference division, but a similar attractive plaque arrived for the Bronze award in the Travel Guidebook division. Now our readers can access all the pictures and maps as well as the full text in this very portable way. Well, folks, Amazon.com seems to have realized they’d made an error, so today (or yesterday?) they returned the price of the Kindle version of Yellowstone Treasures to $9.99. Like it or not, all publishers and authors are required to toe the mark with Amazon. If you read my February 25 post or tried in the past few months to buy a version of Yellowstone Treasures for your Kindle, you know that it was not being sold on the Amazon website. But as of earlier this week, an agreement between my distributor, Independent Publishers Group, and Amazon has brought it back. The Kindle version now costs their standard $9.99 rather than the $14-something you would have had to pay for it previously. As publisher, I can live with that. I thank IPG for holding firm when Amazon became unreasonable, but I also thank both of them for arriving at a compromise. (Added 14 hours later) Oops! I see that now the Kindle price is $11.96. Well, that’s half the price of the paperback. Trouble is, you don’t get the 37 maps or any of the color in the pictures or design elements in the book. With the next edition I will have a Kindle Fire version, which should remedy that problem. On February 25th , I published a blog post about the removal of all the e-book titles distributed by Small Publishers United and Independent Publishers Group from Amazon’s online store. 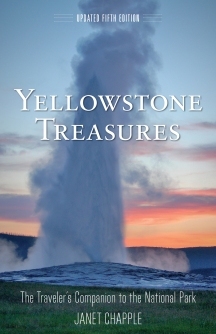 This included Yellowstone Treasures, which had been bought as an e-book by some 650 readers. 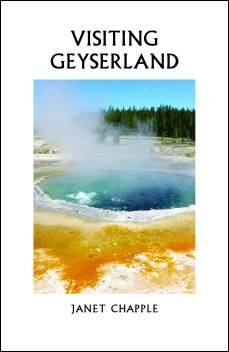 In the list of e-book formats for which Yellowstone Treasures is still available, I included Google Books, but, in reality, we have just this month begun making the guidebook available in that format. If you don’t want to carry a one-and-a-half pound book with you to the park, consider buying it as a Google e-book or other electronic book. I am sorry that Amazon has not so far relented their unreasonable decision that has cut back on the books available for people who have Kindles.